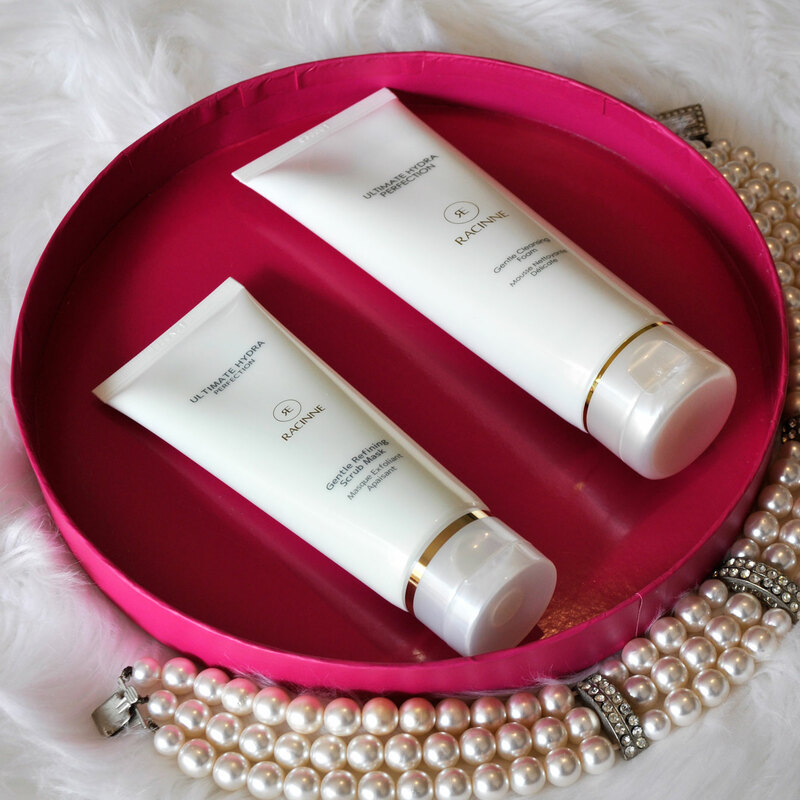 I love discovering new skin care products which means I often change my skin care routine. 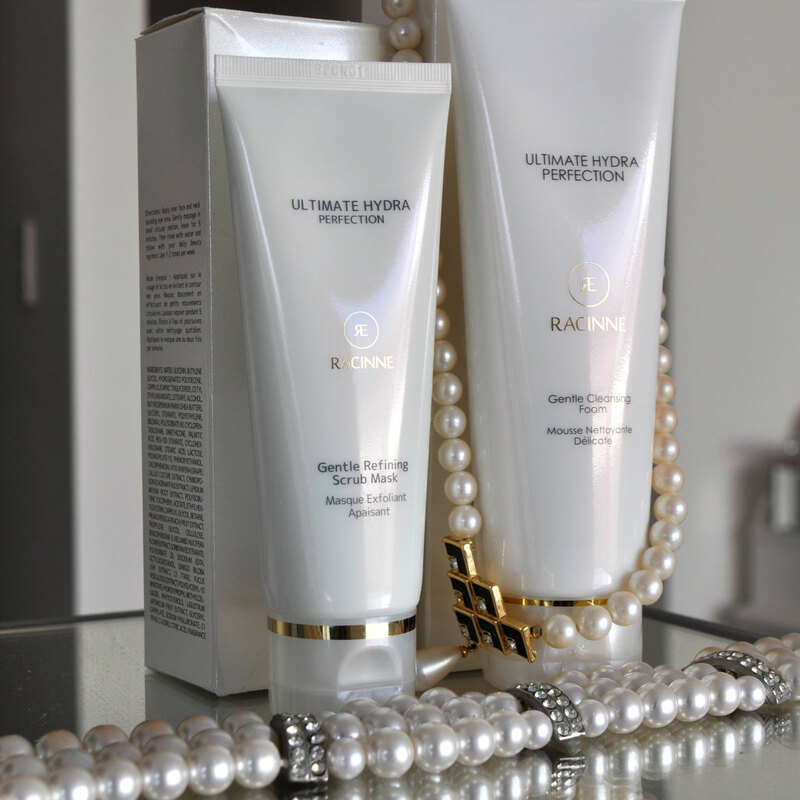 Today I will be showcasing two of my favourite Racinne products from their Ultimate hydra perfection range. 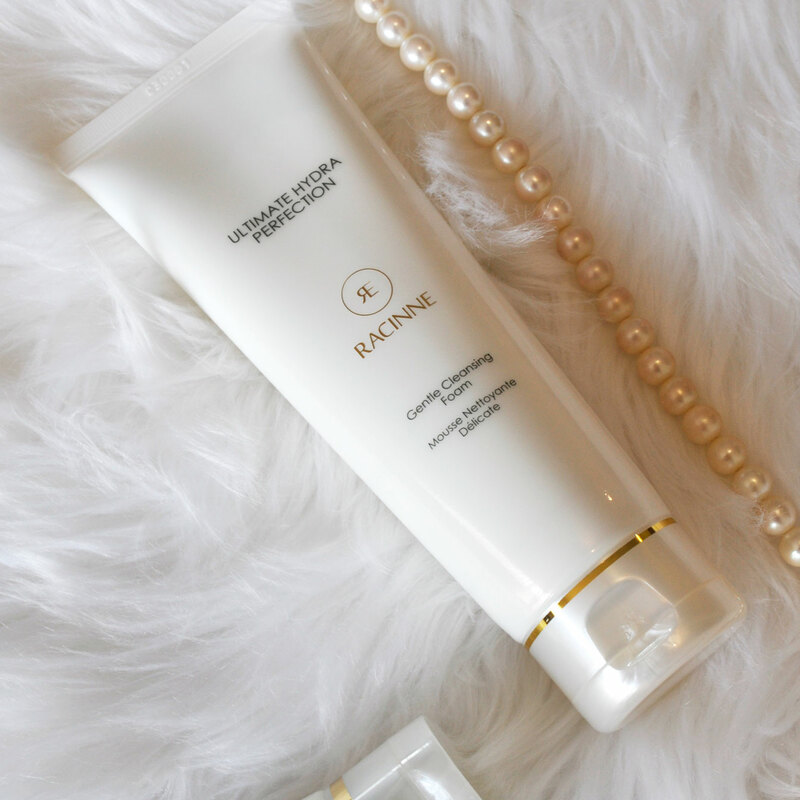 Racinne’s Gentle Cleansing Foam and the Gentle Refining Scrub Mask is a power duo that I consider to be luxury at it’s finest. 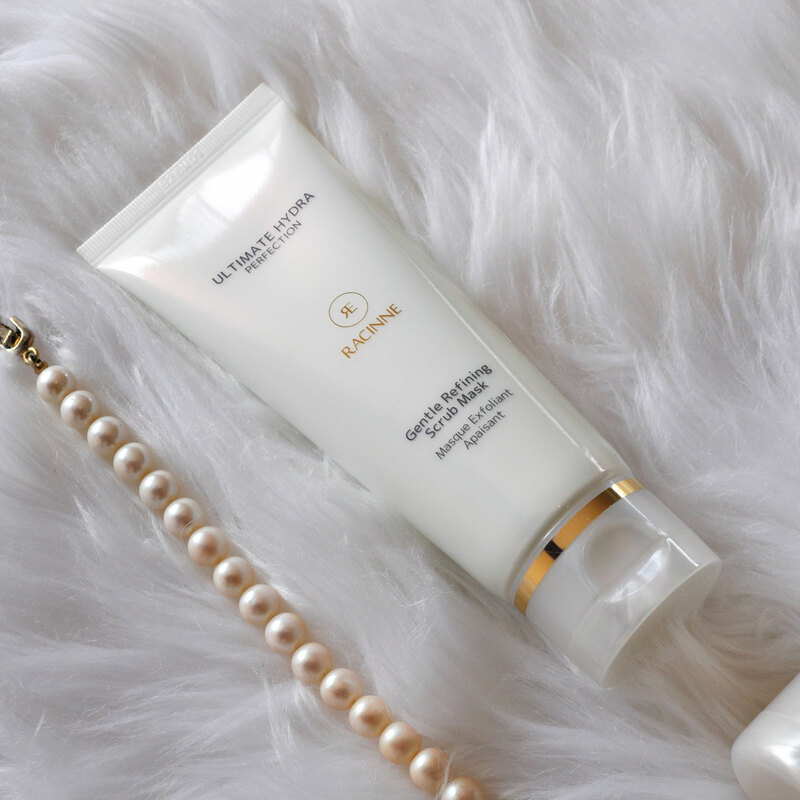 This exquisite gentle foaming cleanser will melt away impurities and remove every speck of makeup and dirt. A small amount massaged on to your skin will foam up to a beautiful luxurious lather, not only feel nourishing without disturbing your skin’s natural balance but it will leave you with hydrated, fresh looking skin. *Disclosure: I received these products in exchange for an honest review. Opinions and the choice to review are 100% my own! Thank you very much Fiona! They are wonderful products! I am exactly the same – always on the look out for new products to try! Yes and it gets boring using the same products all the time!